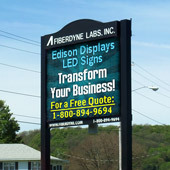 Bring your advertising to the next level with Fiberdyne Advertising© LED Digital Advertising Signs! 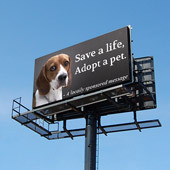 Take a look at our current advertisments in these locations! "Eighty-three percent of those who noticed the digital billboards recalled at least one of the messages running and sixty-five percent of viewers recalled at least two." 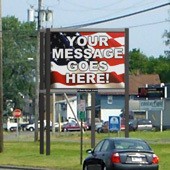 Outdoor LED Digital Advertising Signs brought billboard advertising to a whole new level. 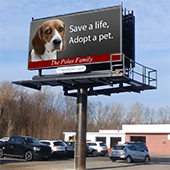 With the latest eye-catching LED technology and locations throughout the most in-demand markets, Fiberdyne Advertising has streamlined the outdoor led digital billboard advertising industry. Instead of paying over and over for advertising a multimedia ad that might or might not be noticed or heard, consider the power of LED digital signs. 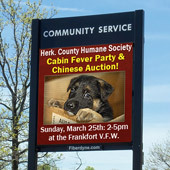 These multimedia signs will give you unrivaled capabilities for reaching your target audience. Our locations may be perfect for your messaging. Call Fiberdyne Advertising for a quote and one of our customer representatives will show you how dime for dime, dollar for dollar, your advertising dollar will go farther on Fiberdyne Advertising LED Digital Advertising Signs.